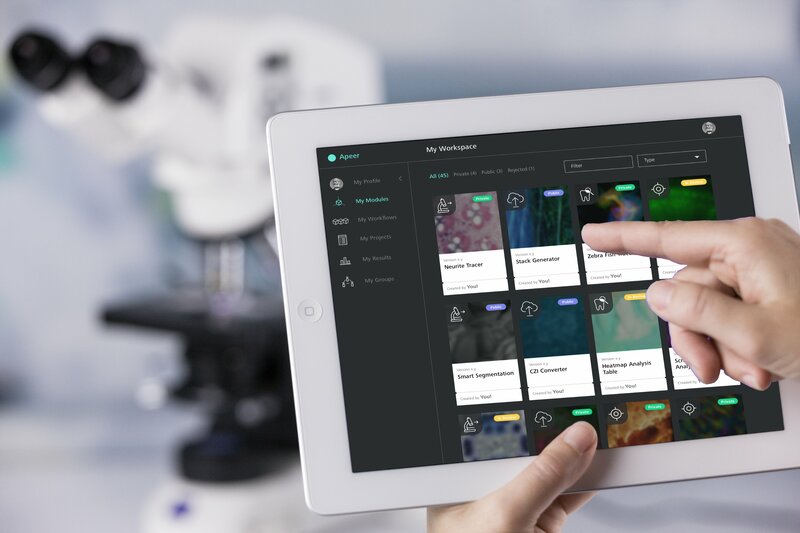 With the cloud-based digital microscopy platform, known under the name APEER, microscopy users will be able to automatically process images in the cloud by leveraging application workflows for 3D reconstructions, staining or segmenting. Use cases include different workflows, from the acquisition of images to particle analysis and reporting. In addition to enabling the exchange of scientific applications on the platform, the plan is to promote collaboration between scientists and provide community-building functions, such as a discussion forum and the opportunity to swap data sets or build on existing workflows. Easy-to-use modules and workflows can be combined into new personalized end-to-end solutions that enhance research. A broad network of developers and test users from the field of scientific microscopy were involved in shaping the initial release. APEER is being gradually made available to scientific institutions and the industry.